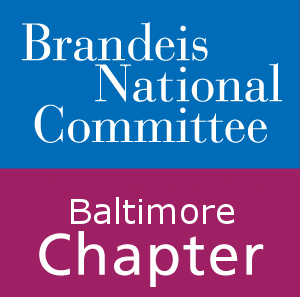 Welcome to the Baltimore Chapter of Brandeis National Committee (BNC). Our members help to raise funds in support of the research efforts carried out at Brandeis University through social events, trips and our Live and Learn classes. From Artists in Our Midst to Learn Mah Jongg—as well as old standards we all enjoy such as Scrabble, our classes have something for everyone! BNC members join for the purpose of getting to know each other, hear about all our interesting lives – and bringing in new members to partake in philanthropy and continuing education. This is the kind of friendship that makes Brandeis the warm, cordial organization that we have always found it to be. We look forward to having you join us!